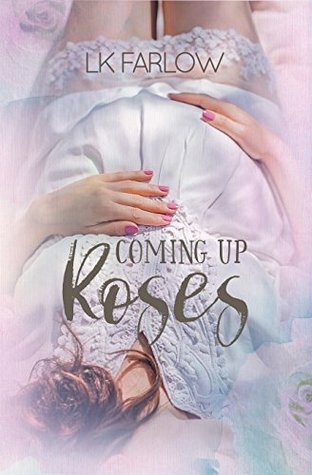 Myla Rose McGraw may be twenty, single, and pregnant, but she’s no damsel in distress. She doesn’t need a man. After all, her Grams taught her a thing or two about making lemonade out of life’s lemons. Then she meets Cash Carson. Reeling from a bad breakup, Cash has sworn off love. It led to nothing but pain and misery, and he’s determined to move forward alone. Until a redheaded Southern beauty crashes into him. With her shopping cart. At the local Piggly Wiggly. If love wasn’t for him, why did his heart beat a little faster every time Myla Rose sent that sweet smile his way? He was no knight, and she didn’t need saving. But damn if he didn’t want to try anyway. COMING UP ROSES is a sweet, Southern fairy tale—with a twist. This book was so damn sweet! I finished this in one sitting. From chapter one I was sucked in. We meet Cash after he finds his girlfriend cheating on him. He moves back home and ends up running into Myla Rose (literally) in the grocery store. This is where we start to fall in love with these two. The blurb had it right when it said that it was a sweet southern fairytale. I was glad that Myla Rose was independent and made Cash work hard in the beginning. And Cash was a freakin’ sweetheart! He just kept surprising me at every turn. It wouldn’t be a love story without a little drama and Taylor brought it. Even though I really hated him. I wish we could’ve seen more in their story after the baby was born but other than that it was great! Can’t wait to read the next one in this series.